Dentures can be a great replacement method for teeth that are missing, but with use and time may come the need for denture repair. While dentures can last up to a lifetime, there are certain situations in which a person may need to have them repaired or even replaced. Just like with any other dental appliance, dentures too can incur damage. Being aware of when repair is needed can help anyone who isn't sure. 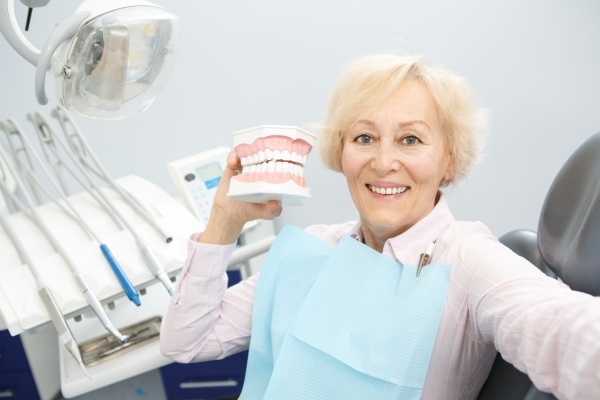 In this article, we will go over when a person may need denture repair. Read more below as we outline a few signs! There are a few different signs that might indicate that dentures need to be repaired. However, it can be beneficial to know the most common ones. Outlined below are four main signs that denture repair is needed. After a person firsts get their dentures, it may take some time to adjust to their dentures. It is common that at first, a person may experience some difficulty when they’re chewing but as time progresses, if a person still experiences a hard time chewing, it might indicate that their dentures need to be repaired. Dentures are supposed to help someone chew more naturally so if one is unable to do so then it’s best to visit the dentist to have the dentures looked at. Dentures are meant to help a person feel more comfortable by providing them with a more natural look and feel. If a person feels any discomfort such as pressure, pain or even soreness then this might indicate that the dentures are damaged and need to be repaired. It is also possible that a person’s dentures just don’t fit properly and they need to be repaired by a professional. While dentures are thick and strong, they can also be delicate too. The materials that dentures are made out of are meant to be gently cared for. If and when a person drops or hits their dentures on something, damage may incur. There could be cracks, chips or even pieces that come off. When this happens, it is best that a person has the dentures repaired immediately so that they can function properly. Damages could threaten a person’s mouth if left unrepaired. Because dentures are a dental appliance, it is important that a person cares for them through good oral hygiene. Sometimes this can go neglected and the dentures can begin to smell or look foul. There might be stains that aren’t coming off or an odor that is hard to get rid of. When this happens, it’s best that the dentures are taken to a professional as they will likely need repairing. Sometimes people lose their teeth over time or from severe decay. Whatever the reason may be, dentures are available to help a person get back to normal. Dentures offer someone a more natural look and easier chew. Although they do provide someone with artificial teeth, it is still important to care for them as if they are natural. Being aware of the signs you need denture repair can help someone who isn’t sure. If you have questions about dentures and when they should be repaired then reach out to our office today so that we can help you. Request an appointment here: https://parsdentalcare.com or call Pars Dental at (713) 893-3664 for an appointment in our Houston office.